The Max Planck Society is one of Europe's leading basic research organizations. In its research laboratories, workshops, libraries, and administration, scientists and researchers perform demanding tasks with a high degree of autonomy and creativity. The working environment is both open and stimulating – and international! Not surprisingly, the appeal of the Max Planck Society has achieved international fame. More than a third of around 12,000 scientists hold a foreign passport. They form a creative cosmos in which interdisciplinary and intercultural concepts and ideas of great minds come to bear. This, in turn, ensures the success of the excellent basic research for which our organisation is renowned. We promote accomplished junior scientists, who complete formative years of their careers as student assistants, Ph.D. students, postdocs or research group heads at Max Planck institutes, and who benefit from the knowledge of their internationally networking scientific mentors. We are also committed to providing young people with a sound basis in various skilled trades. Facilitating the career ascent of female scientists has been a priority for us for over a decade now. The Max Planck Society boasts the highest number of women on a scientific staff in Germany – even in leading positions. Our family-friendly staff policy carries a seal of quality. As the first German research organisation, our institutes were granted the logo of the non-profit organisation berufundfamilie (“career and family”). The Max Planck Institute for Intelligent Systems in Tübingen is looking for an administrative assistant to assist with diverse tasks required to support research activities and the administration of the Optics and Sensing Laboratory. The Max Planck Institute for Intelligent Systems is a leading international research institute that addresses fundamental questions in artificial intelligence and robotics. By joining forces with partners from science and industry, we have created one of the largest research collaborations in Europe in the field of artificial intelligence – the Cyber Valley. The institute sites in Stuttgart and Tübingen conduct cutting-edge research in theory, software, and hardware. The Rationality Enhancement Group at the Max Planck Institute for Intelligent Systems in Tübingen is looking for a student research assistant who will support the group’s experiments on metacognitive learning, goal setting, attention control, cognitive tutors, and cognitive prostheses. The privacy preserving machine learning group, headed by Dr. Mijung Park at the Max Planck Institute for Intelligent Systems and the University of Tübingen in Germany, is looking for a PhD student (m/f) for a project at the intersection of privacy and machine learning. The Tübingen AI Center aims to foster a world-class research ecosystem in the field of Machine Learning and Artificial Intelligence. The Center is one of four competence centers recently funded by Germany's Ministry of Education and Research with seven million euros for an initial four years and will provide research groups at the University of Tübingen (UT) and at the Max Planck Institute for Intelligent Systems (MPI-IS) with a place to develop learning systems. It is part of the major Cyber Valley initiative in the Stuttgart-Tübingen region, where many partners in academia and industry have joined forces to work in the area of artificial intelligence. In this Master thesis project, we want to develop learning controllers with Bayesian optimization for adaptive locomotion of soft microrobots. Das Max-Planck-Institut für Intelligente Systeme verbindet Spitzenforschung in Theorie, Software und Hardware im Bereich der intelligenten Systeme unter einem Dach. Das Max-Planck-Institut für Intelligente Systeme verbindet Spitzenforschung in Theorie, Soft-ware und Hardware im Bereich der intelligenten Systeme unter einem Dach. The Max Planck Research Group for Rationality Enhancement, headed by Dr. Falk Lieder at the Max Planck Institute for Intelligent Systems in Tübingen, Germany, is looking for a Ph.D, student (m/f/d) for a project at the intersection of machine learning and computational cognitive science. The Max Planck Research Group for Rationality Enhancement, headed by Dr. Falk Lieder at the Max Planck Institute for Intelligent Systems in Tübingen, Germany, is looking for a researcher (m/f/d) or postdoc (m/f/d) for a project at the intersection of machine learning and computational cognitive science. 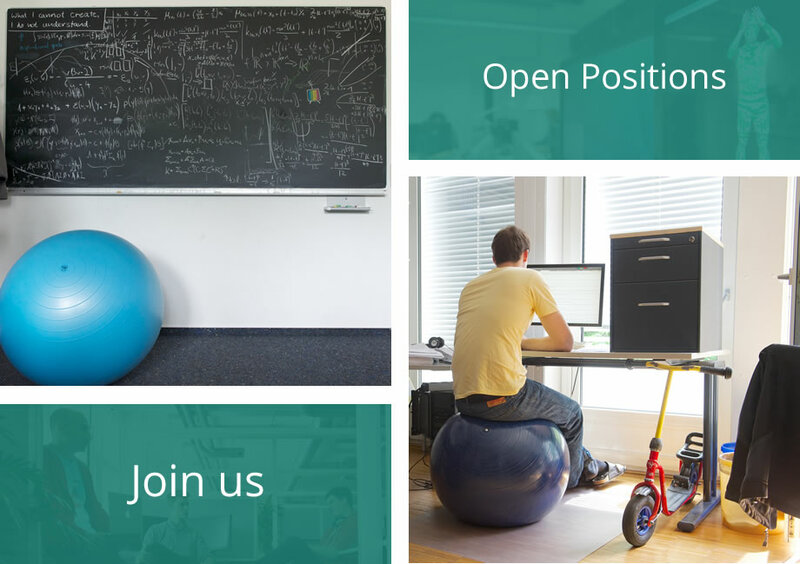 The Stuttgart site of the Max Planck Institute for Intelligent Systems (MPI-IS) is seeking an experienced IT professional to join our vibrant and rapidly expanding community. With over 400 employees on our Stuttgart and Tübingen campuses, MPI-IS is conducting cutting-edge research in the fields of micro- and nano-robotics, haptic interfaces, human-robot interaction, biorobotics, medical robotics, computer vision, controls, machine learning, and much more. In addition, our institute is a founding member of Cyber Valley, a research network of key players in the fields of artificial intelligence and robotics, including major industry partners. The Max Planck Institute for Intelligent Systems seeks to understand the principles of perception, action and learning in autonomous systems that successfully interact with complex environments and to use this understanding to design future systems. The institute studies these principles in biological, computational, hybrid, and material systems. We take a highly interdisciplinary approach that combines engineering, computation, material science, and biology. At our Stuttgart site, the Physical Intelligence Department (http://pi.is.mpg.de) focuses parts of its research on micro-robots, which, in the future, will be used in the human body to diagnose and treat diseases such as cancer. The Physical Intelligence Department is searching for a full-time Medical technical assistant (MTA) (m/f/d) or a biological technical assistant (BTA) (m/f/d) or similar qualification. The Max Planck Institute for Intelligent Systems in Tübingen is looking for a Thesis writing student (Bachelor’s or Master’s thesis) to develop an Augmented Reality (AR) interaction pipeline. The interaction pipeline will be a basis for future research projects as well as for integration of the latest tracking models for human bodies or specific body parts (e.g. hands), that have been developed in the institute. The Max Planck Institute for Intelligent Systems in Tübingen is looking for an Intern (Bachelor or Master student) to develop a graphical user interface (GUI) for a multi-sensor recording system using a C++ Qt5 framework. The Max Planck Institute for Intelligent Systems in Tübingen is looking for a Thesis writing student (Bachelor’s or Master’s thesis) to develop a synthetic scanner simulator and light stage based on 3dMax utilizing photo realistic rendering techniques. Our Institute The Max Planck Institute for Intelligent Systems is a leading center for research in computer vision, robotics, and machine learning. Our research seeks to understand mathematical prin-ciples of intelligent systems. This involves not only analyzing and modeling, but also building such systems. From our software infrastructure to our robots, scanners, camera systems, and laboratories, you will be working with the best resources available worldwide. Our institute is founding member of the Cyber Valley, a research network comprising key players in the field of artificial intelligence, including major industry partners. AI software from our institute has already led to multiple startups. The institute is distributed over two nearby campuses in Tübingen and Stuttgart. The suc-cessful applicant will support and collaborate with researchers from both campuses and will be primarily based in Tübingen, a beautiful university town, with a high quality of life, in an area of outstanding natural beauty in southwestern Germany. The majority of the institute’s scientific employees come from outside of Germany. You will work among gifted students and experienced scientists from all over the world; and have access to excellent infrastructure, including several regular series of tutorials, lectures, jour-nal clubs and invited talks by international guests, as well as a large computer cluster, and dedicated full-time specialists. The working language at the institute is English. Within the scope of the Max Planck grassroots project AirCap and Autonomous MoCap, there is one open student assistant (HiWi) position. It can also lead to an opportunity for doing master thesis in the Robot Perception group at the Perceiving Systems department. The newly established Max Planck Research Group for Rationality Enhancement, headed by Dr. Falk Lieder at the Max Planck Institute for Intelligent Systems in Tübingen, Germany, is looking for a postdoc (m/f/d) for a project at the intersection of computational cognitive science and applied psychology. The newly established Minerva Research Group on Probabilistic Learning, headed by Isabel Valera, within the Department of Empirical Inference at the Max Planck Institute for Intelligent Systems, Tübingen, Germany, is looking for PhD students in the area of machine learning, particularly in Bayesian modeling and inference, starting early 2019. Outstanding candidates in all areas of computer vision will be considered but special emphasis will be given to candidates with experience in modeling and estimating human and animal shape including 3D mesh models, statistical shape modeling, 3D vision, articulated pose estimation, and non-rigid models of clothing, hair and fur. While our focus is basic research, we also pursue commercial applications and applications in neuroscience. We are seeking students interested in building princpled statistical models for solving problems in Computer Vision and Machine Learning. You will work an international team interested in building the best possible shape models. For details, see the PDF. The MPI for Intelligent Systems is in the process of identifying candidates for a new Director. Our institute seeks to understand the principles of perception, action and learning in autonomous systems that successfully interact with complex environments and to use this understanding to design future systems. The institute studies these principles in biological, computational, hybrid, and material systems ranging from nano to macro scales. We take a highly interdisciplinary approach that combines mathematics, computation, material science, and biology.